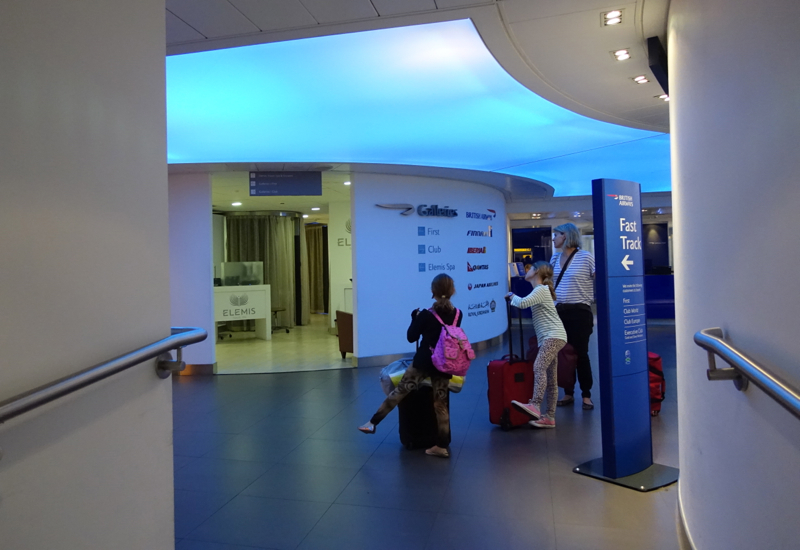 Previously, we've flown British Airways First Class from London and had access to the British Airways Concorde Room at London Heathrow Terminal 5. 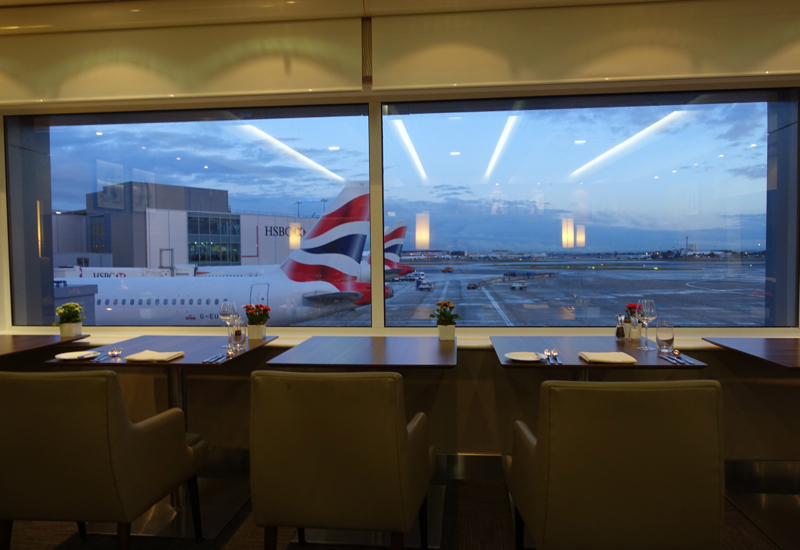 This time, we were flying Qantas First Class from LHR Terminal 3, so instead we accessed the British Airways First Class Lounge in LHR T3. 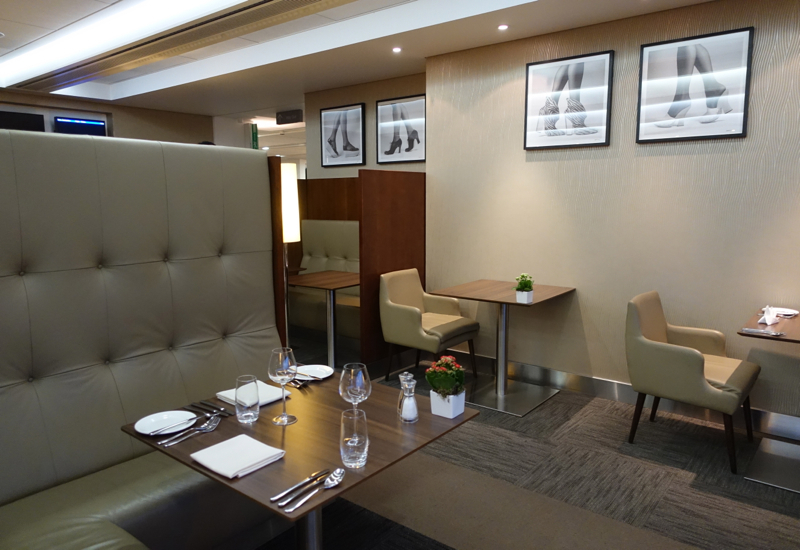 The British Airways Galleries First Class Lounge in Terminal 3 is located in Zone F, and is open daily from 5am until the last departure of the night (so no overnight sleeping in the lounge). 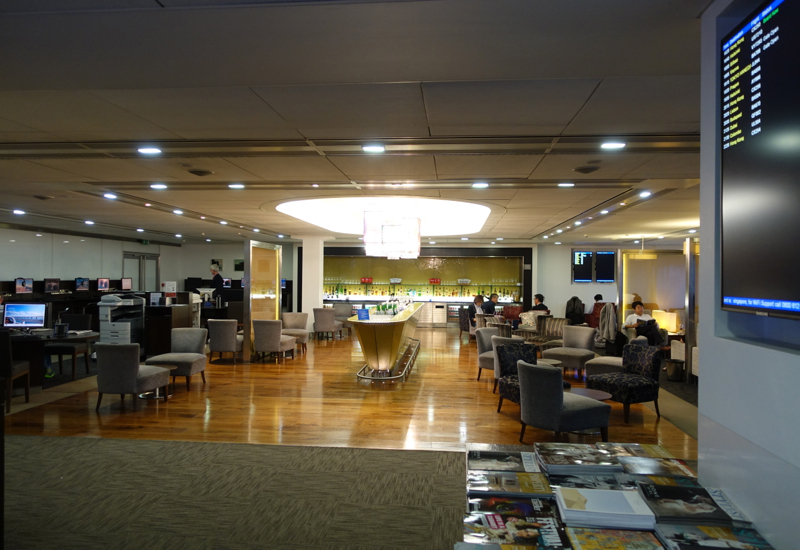 First Class Lounge access is for passengers traveling in First Class on British Airways or a oneworld airline such as Qantas or Japan Airlines, and oneworld Emerald elite frequent flyers. You check-in on the left for access to the First Class Lounge. 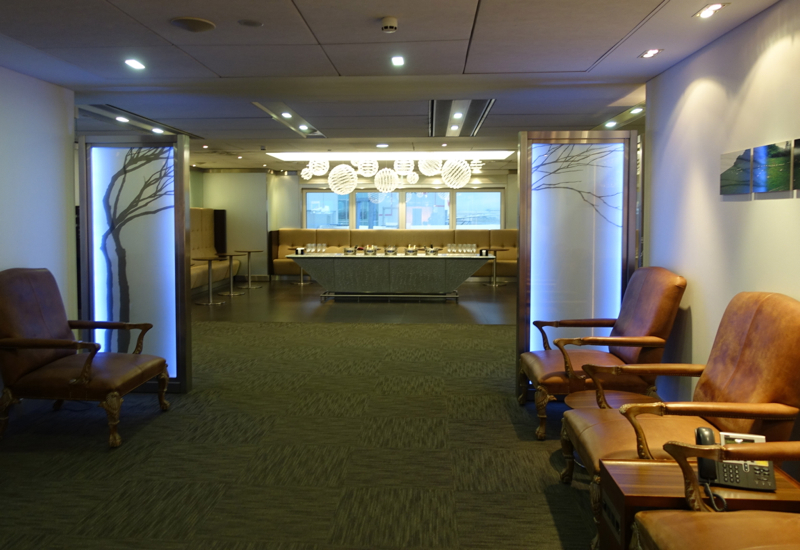 For business class passengers, access to the Galleries Lounge is straight ahead. 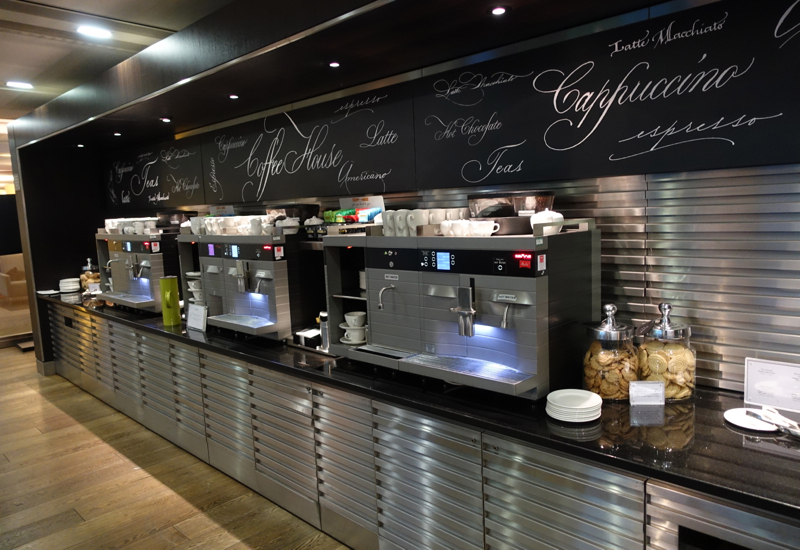 The British Airways First Class Lounge in T3 offers the usual international lounge amenities: business center, WiFi, buffet dining, bar, self-serve espresso bar, showers, and also pre-flight dining with cooked to order items for those who want to sleep on their flight. There are no nap rooms, let alone cabanas, as there are in the Concorde Room, just the usual seating, but the left side of the lounge with the business center and other seating was not terribly crowded when we were there in the early evening. Don't expect any kind of Elemis spa treatment, since there apparently hasn't been a working Elemis spa here in awhile, according to the lounge reception staff that checked us in. 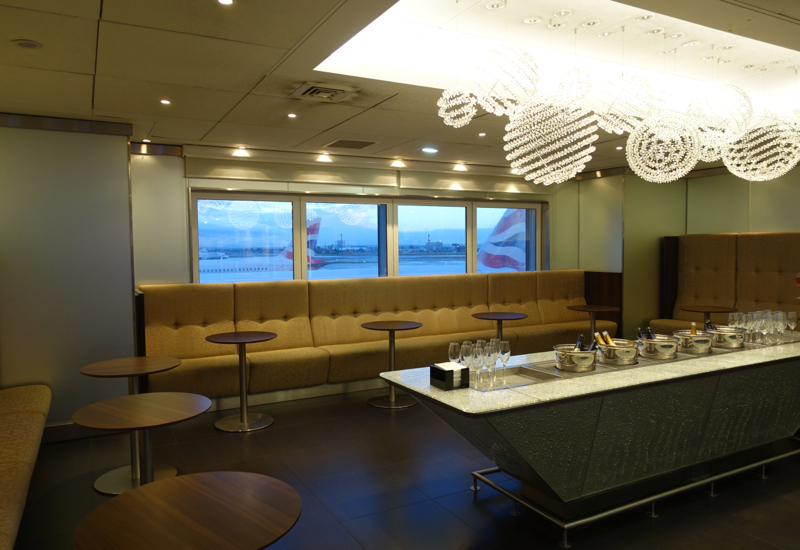 The first thing you see upon entering the British Airways First Class Lounge is the Champagne Bar. It seemed to see remarkably little use (I never saw anyone seated there during our two hours in the lounge) although it was arguably the prettiest part of the lounge. When facing the Champagne Bar, the business center and one seating area is to the left (usually the least crowded, since there's no food in that part of the lounge). After passing the espresso bar you come to another seating area and the buffet. 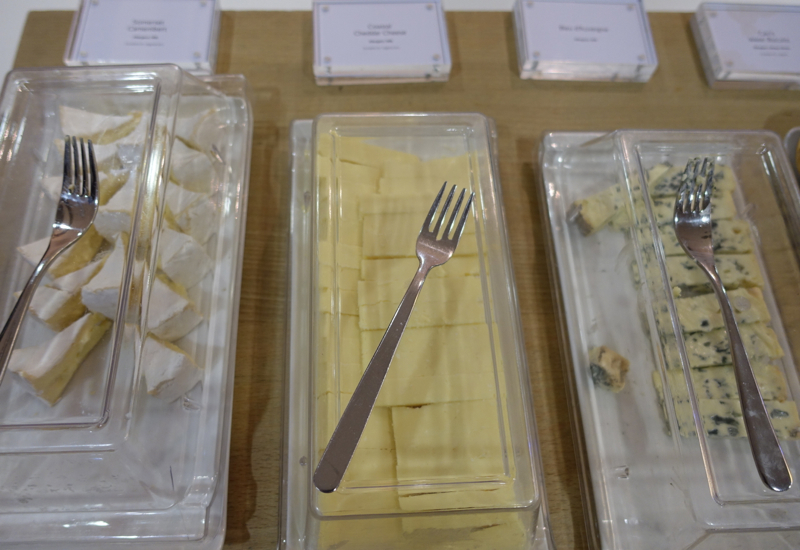 There was a salad bar, various hot items such as savory tarts and quiche, salmon patties, cold cuts, and cheese selection. 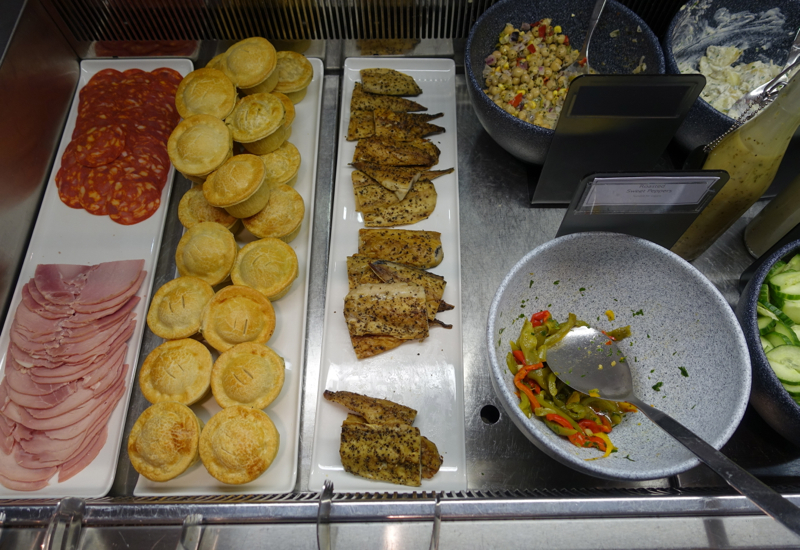 Since my son was already hungry, he had some quiche, salmon patty and salad. 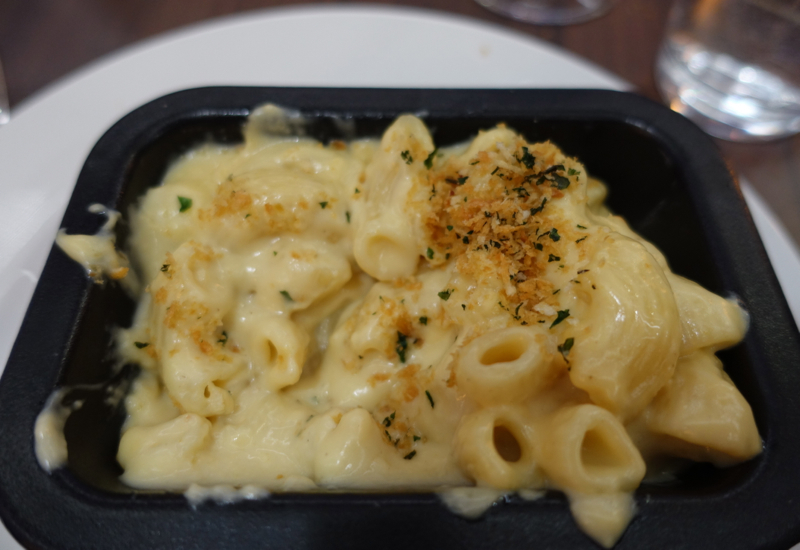 The munchkin ordered his favorite macaroni and cheese, and that was clearly the best of the two dinner items we tried. Personally I prefer Trader Joe's macaroni over this version, but it was decent. 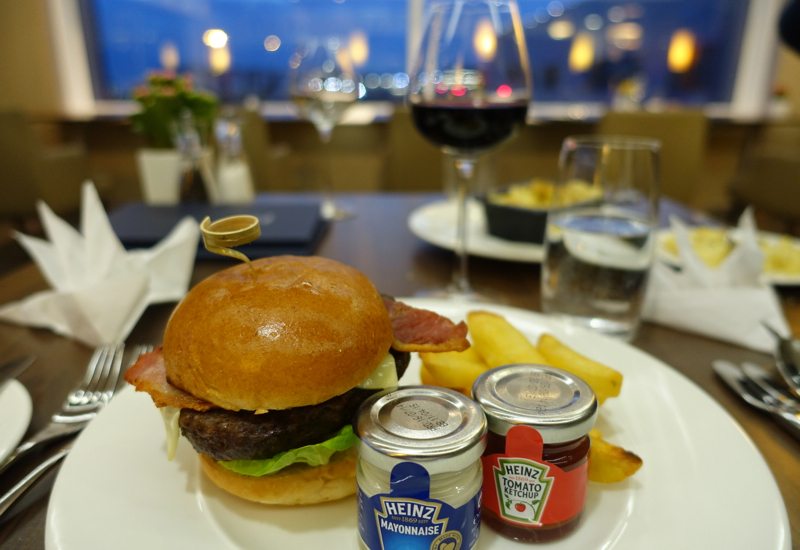 I was curious to see whether the burger would be as bad as it was in the British Airways Concorde Room, or if somehow the terrible burger I'd had there was a one-off, so I ordered the burger. Clearly I'm a glutton for punishment, because it was every bit as bad, if not worse. Poor quality meat, spiced weirdly, and tough and overcooked. 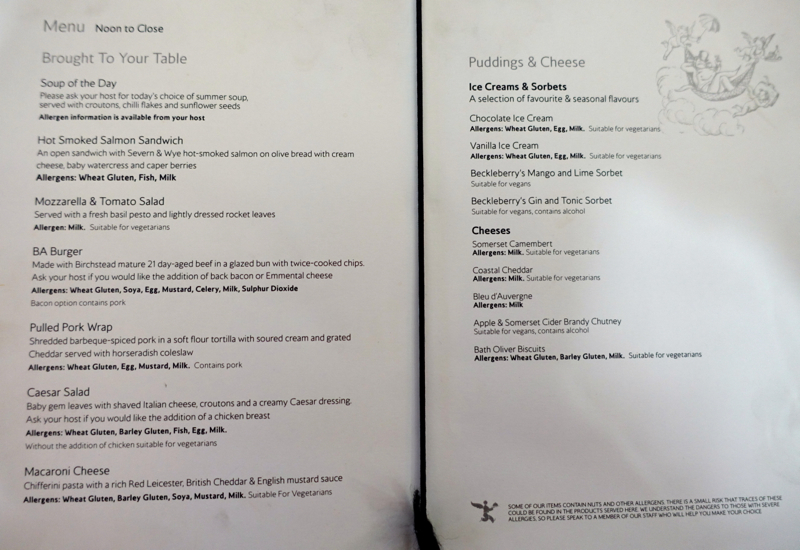 I can honestly say I've never had a worse burger than in the British Airways First Class Lounge and the Concorde Room. Strongly *not* recommended. 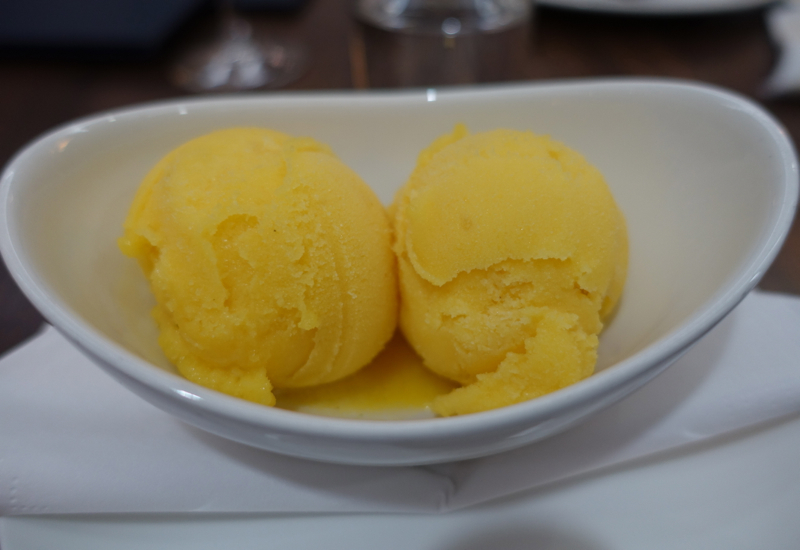 It was disappointing not to have more choices for dessert, so we simply ordered the mango lime sorbet, and that was the best thing I ate in the lounge, even though I've definitely had better mango sorbets. The British Airways First Class Lounge in London Heathrow Terminal 3 was perfectly fine for getting some work done, since WiFi worked well enough for my purposes, but it was one of the more underwhelming international airport lounges I've been in from a dining perspective, particularly when we'd had such a recent stellar experience at the British Airways Concorde Room in JFK for pre-flight dining. 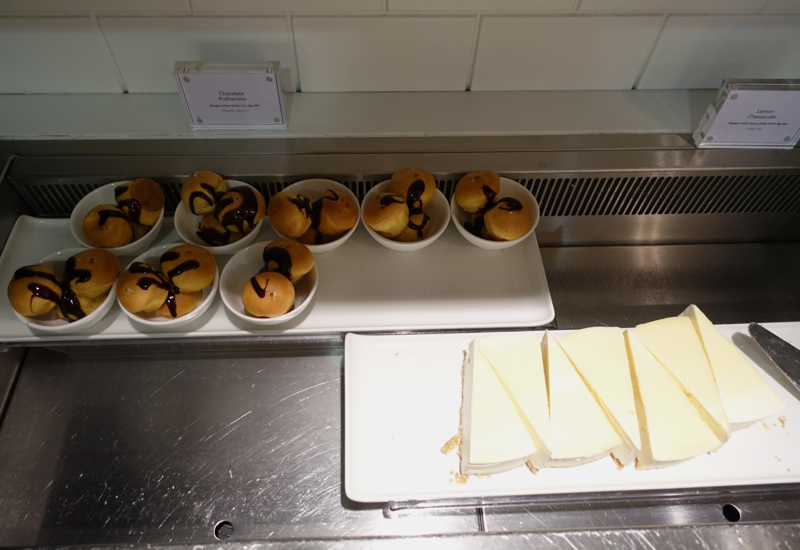 Particularly if you're flying Qantas First Class, I recommend eating little to nothing in the British Airways Lounge, as catering on board Qantas is far, far better. 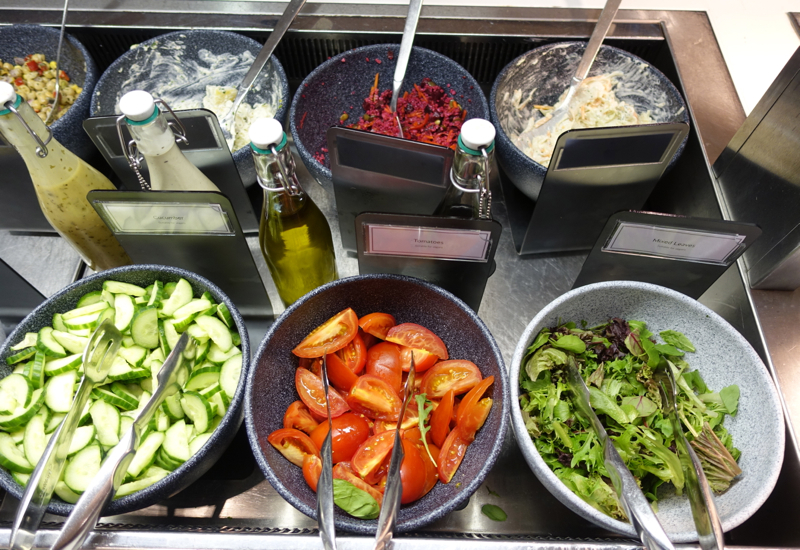 If you've been to the British Airways First Class Lounge in London Heathrow Terminal 3 and had the pre-flight supper or tried the buffet, what was your experience?